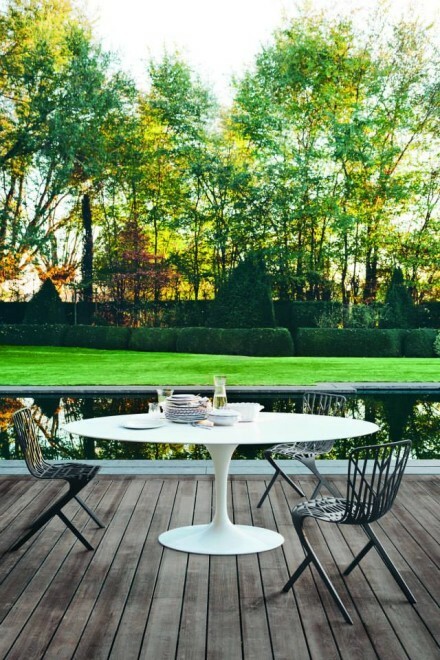 Design News / Interior / Knoll / Where I would rather be ! 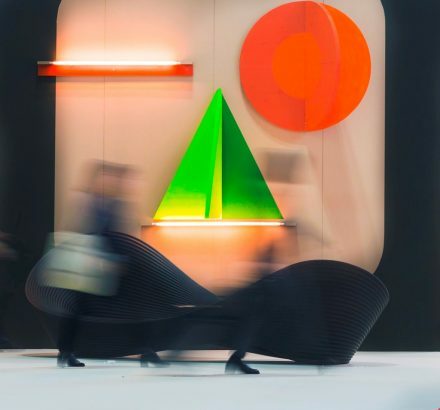 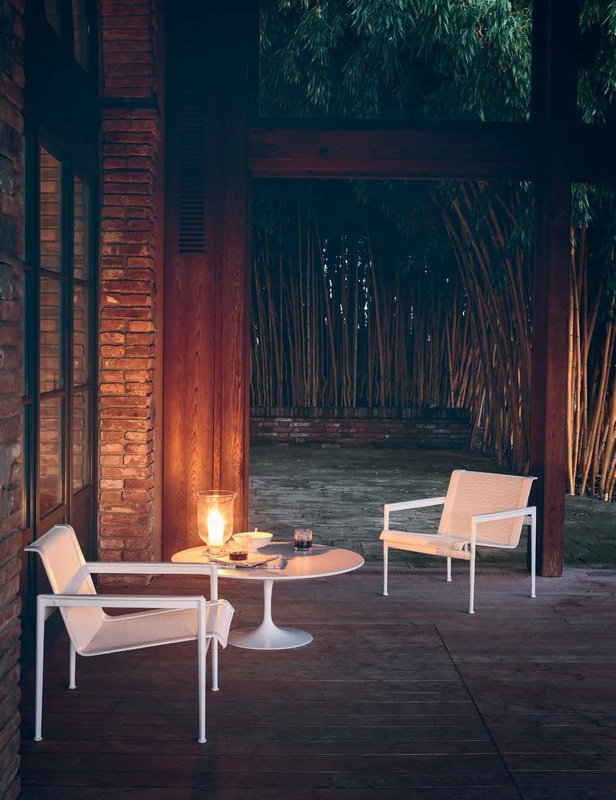 Knoll produces the original design using the finest materials and the experience of Knoll craftsmen, conferring on the product its authenticity and value as a work of art. 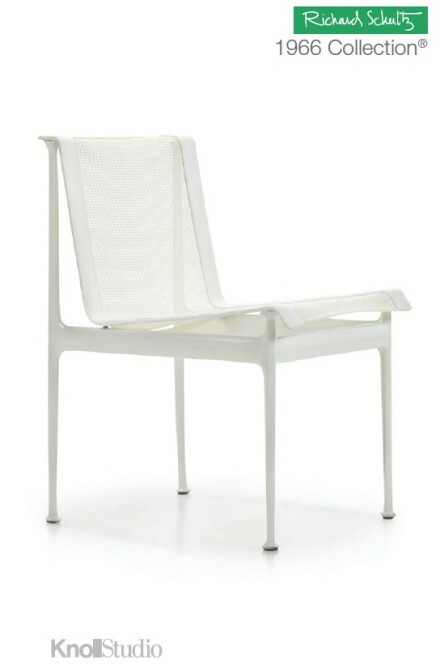 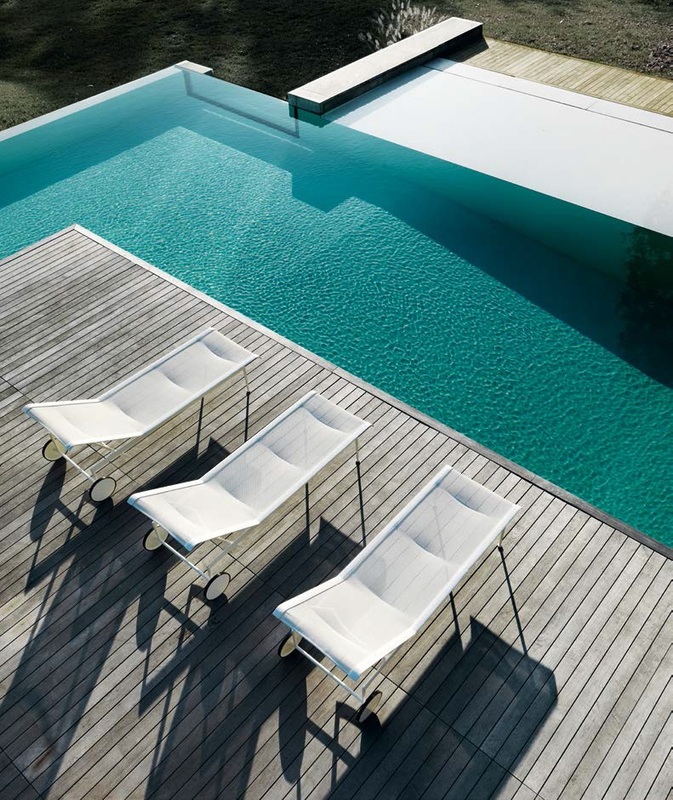 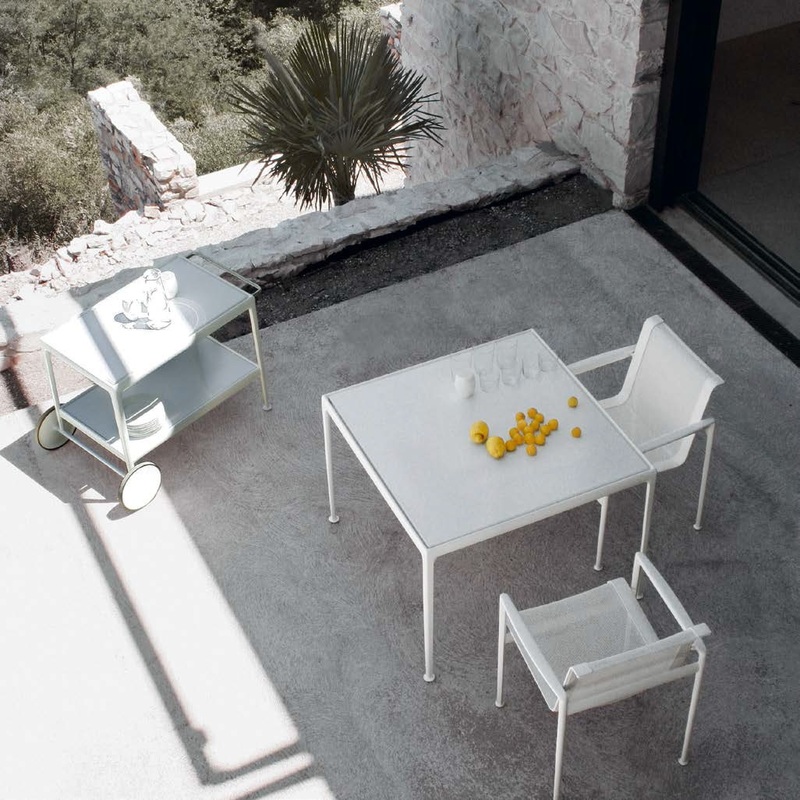 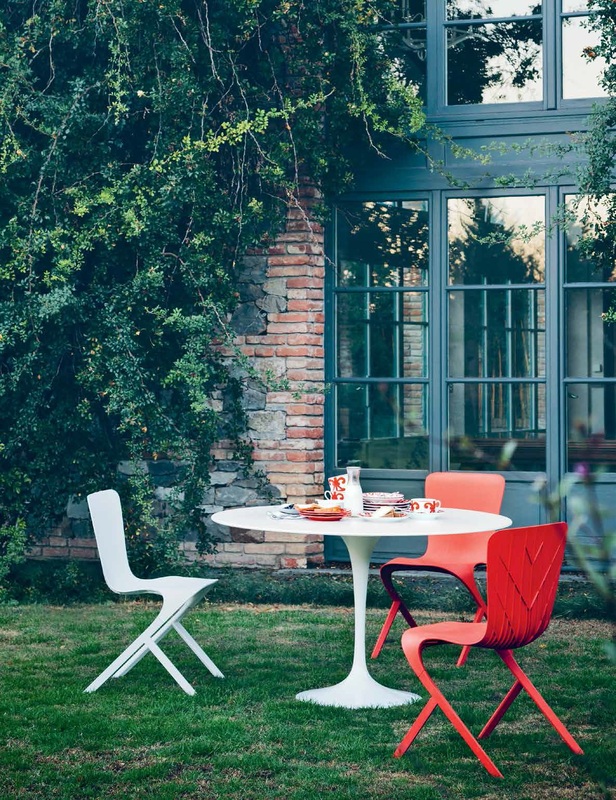 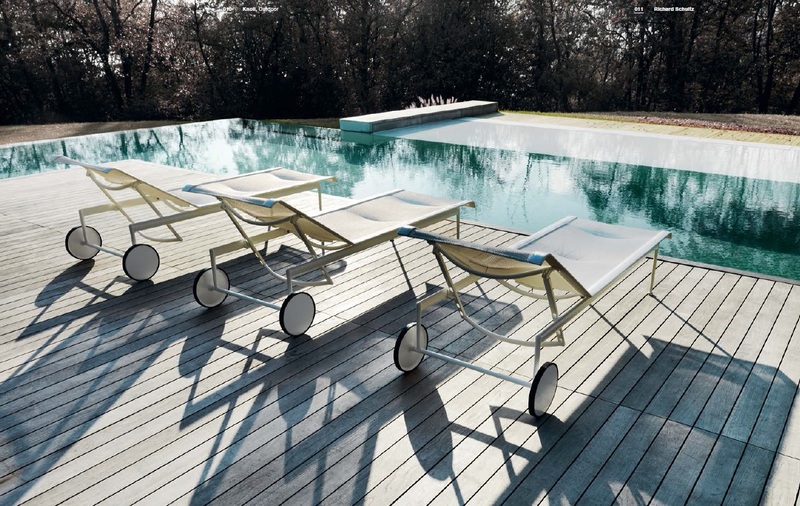 Knoll offers a comprehensive range of durable, modern and iconic outdoor furniture. 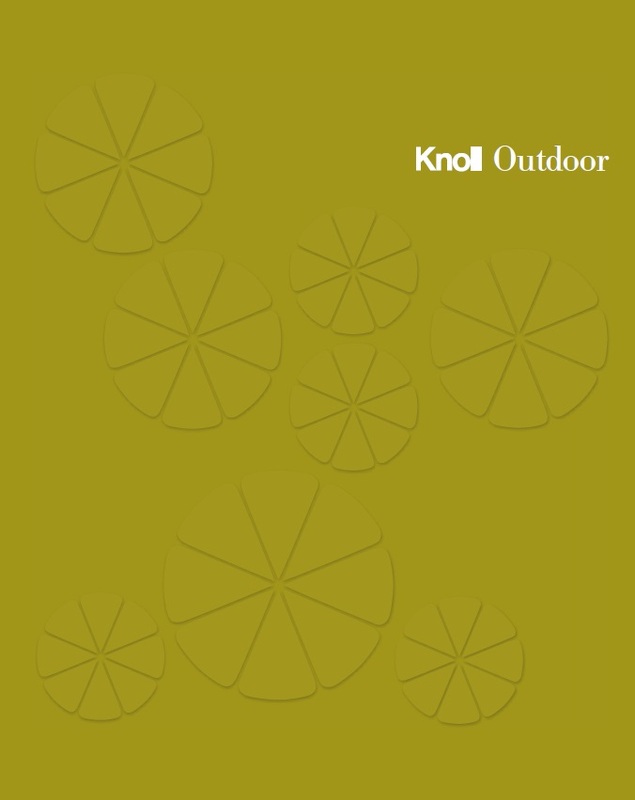 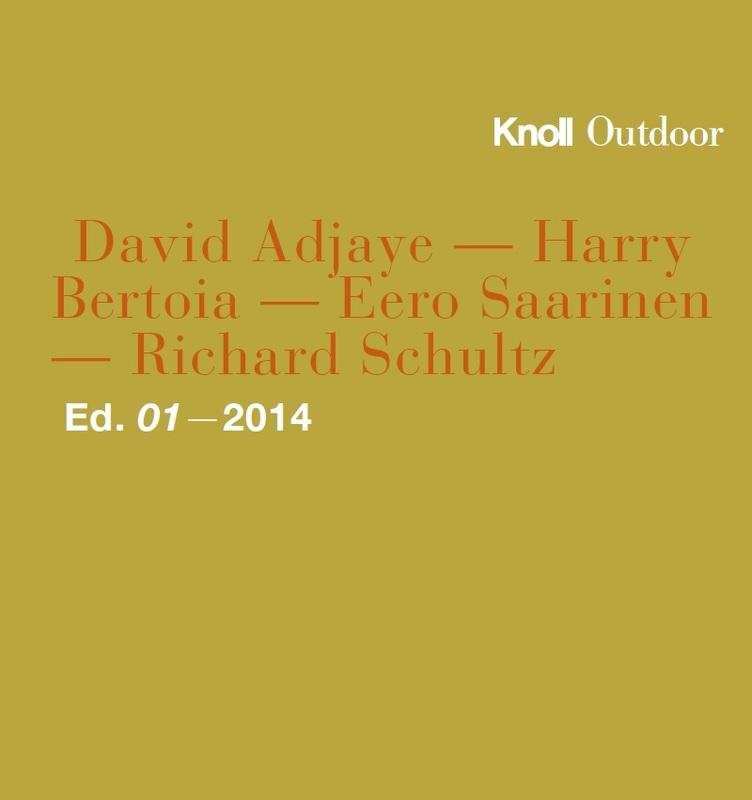 Knol defines outdoor living with pieces that inspire and endure. 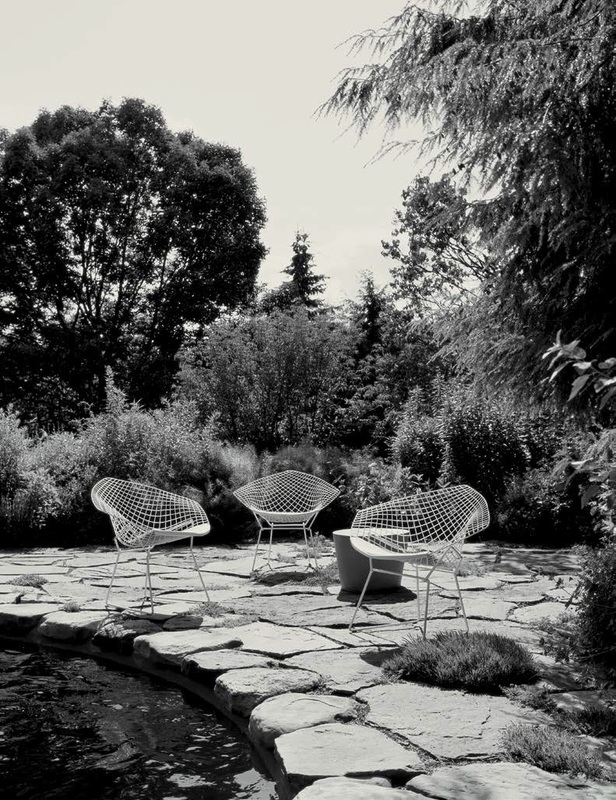 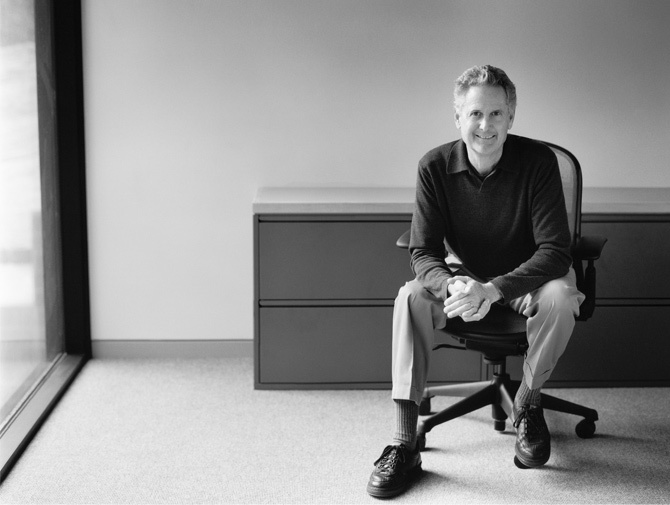 Richard Schultz worked with Harry Bertoia during the development of Bertoia’s iconic collection of wire chairs. 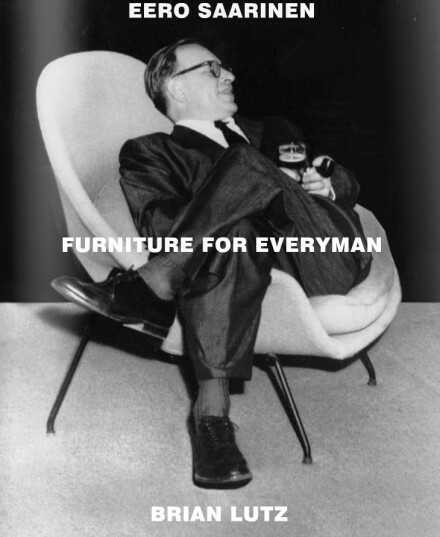 Some years later, Florence Knoll specifically asked Schultz to create a collection of furniture that could be used outdoors. 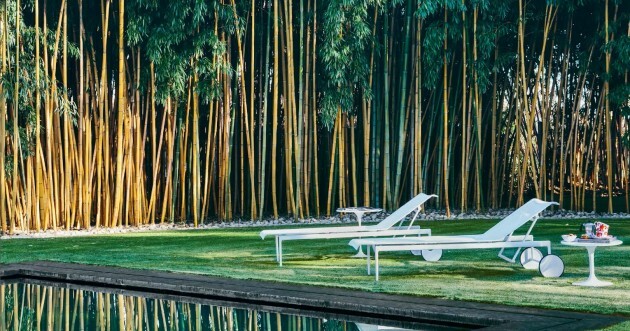 The result was the “Leisure Collection” (now sold as the “1966 Collection”) which became an instant classic. 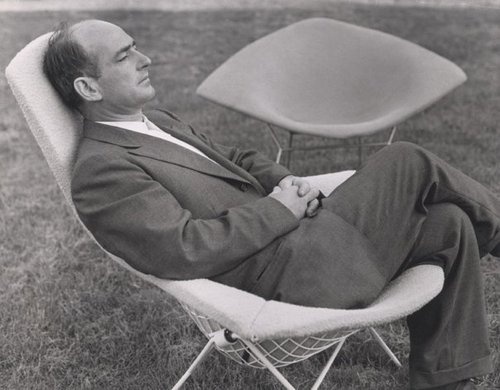 Italian sculptor, university lecturer and furniture designer Harry Bertoia showed a stroke of genius with his patented Bertoia Collection for Knoll in 1952. 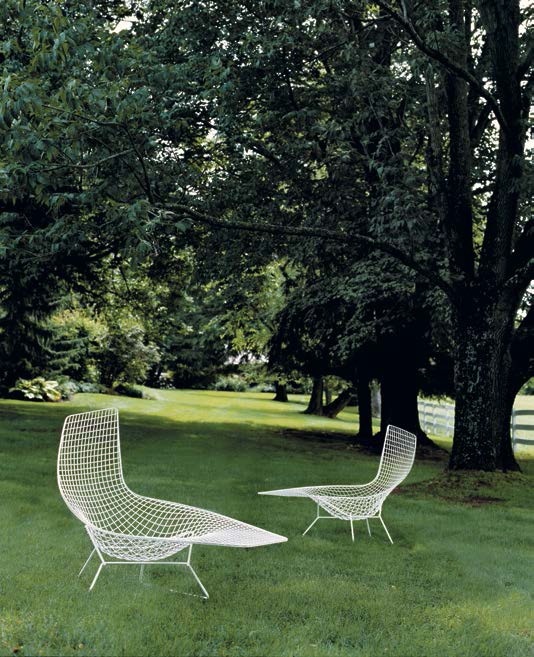 An inventor of form, who explored new boundaries for furniture, Bertoia turned industrial rods into a design icon. 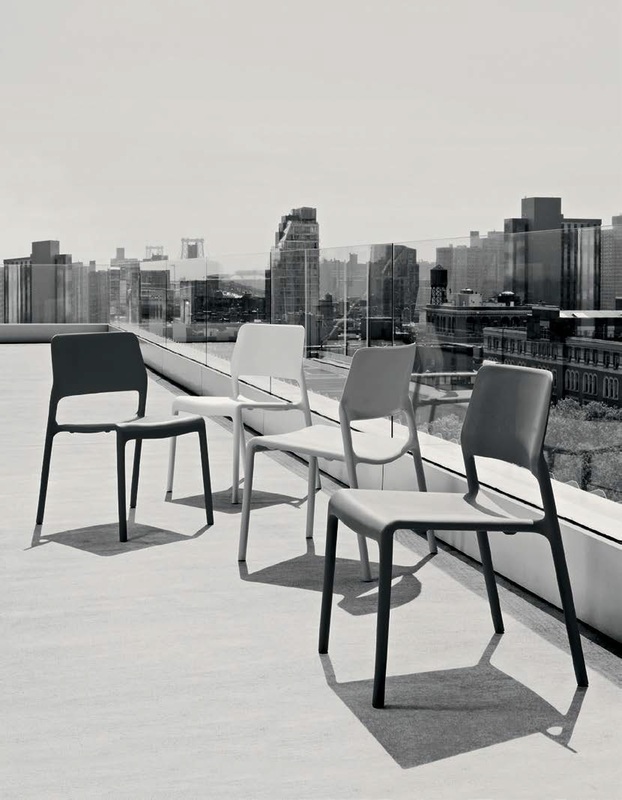 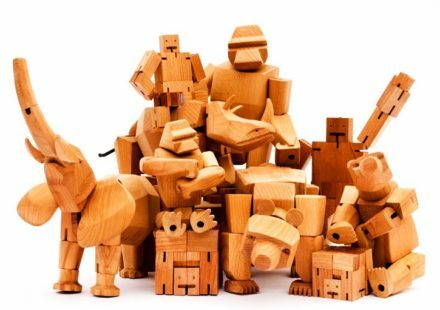 The Spark® Series designed by Don Chadwick brings people together to spark conversation, ideas and imagination. 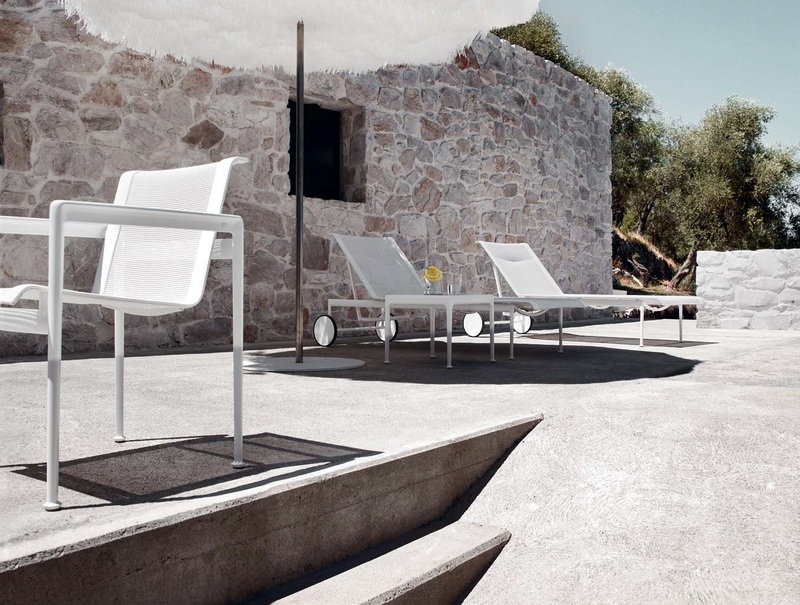 The four leg side chairs are lightweight, sturdy, easy to clean, waterproof and UV-protected — suitable for both indoor and outdoor environments. 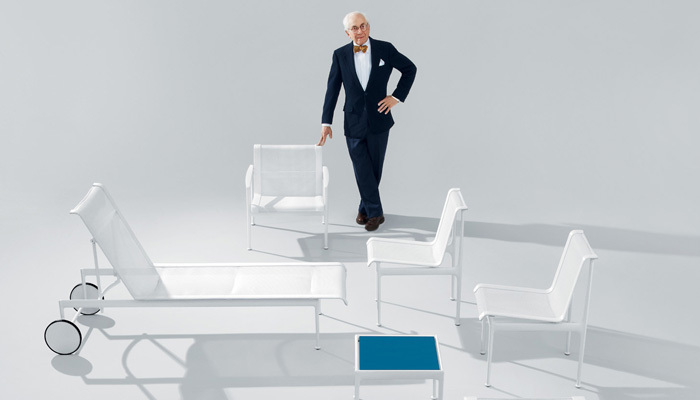 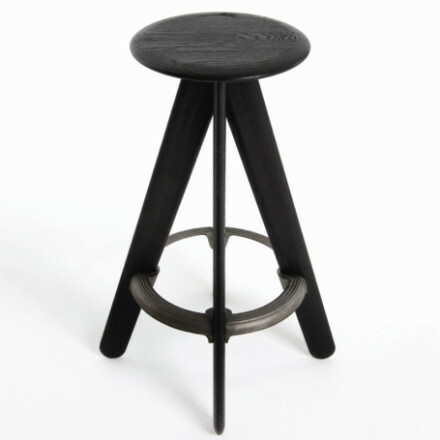 A five-year design investigation led him to the revolutionary Pedestal Collection, introduced in 1958. 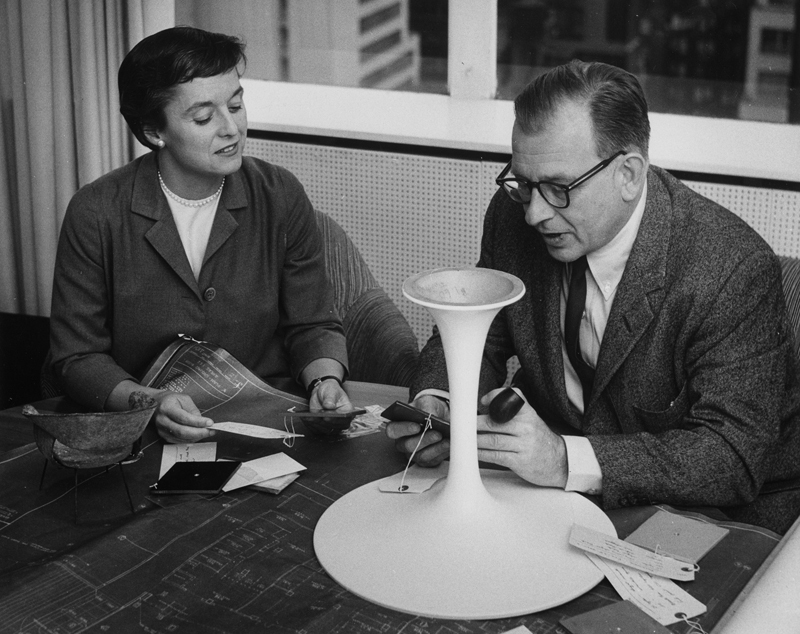 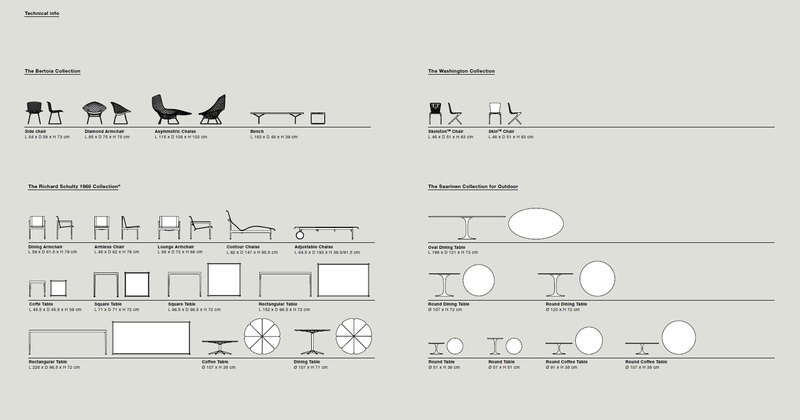 For Saarinen, fluid design and flowing curves followed basic ergonomics. 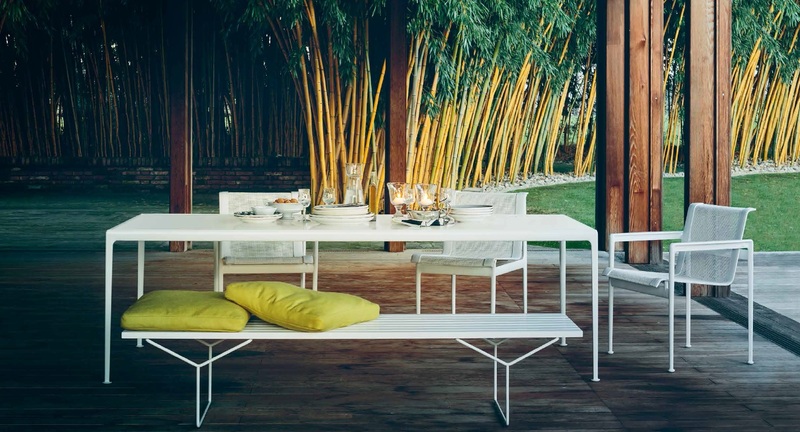 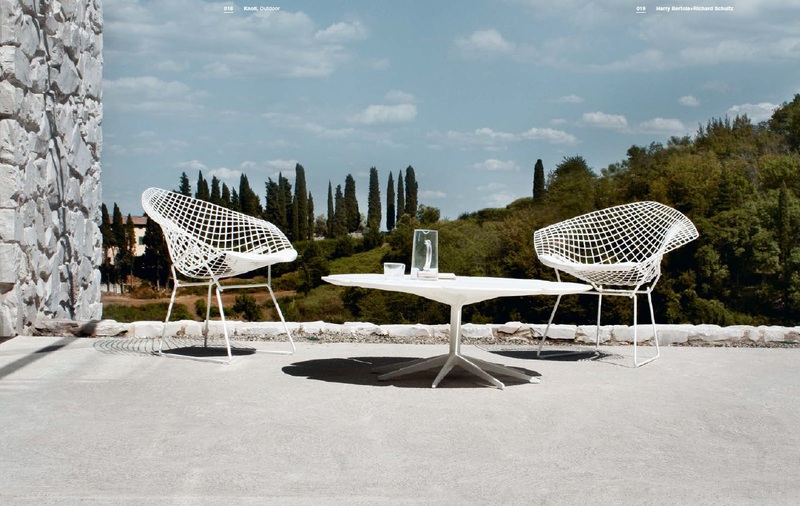 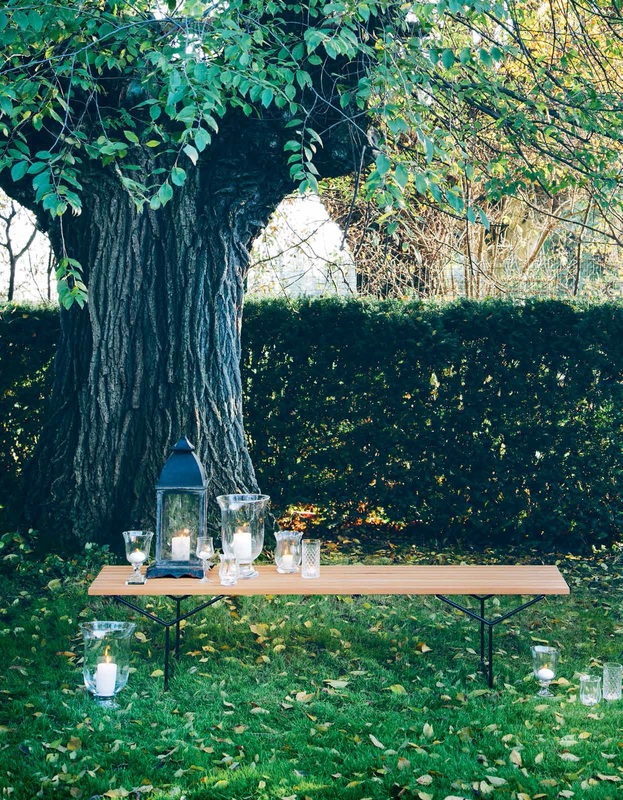 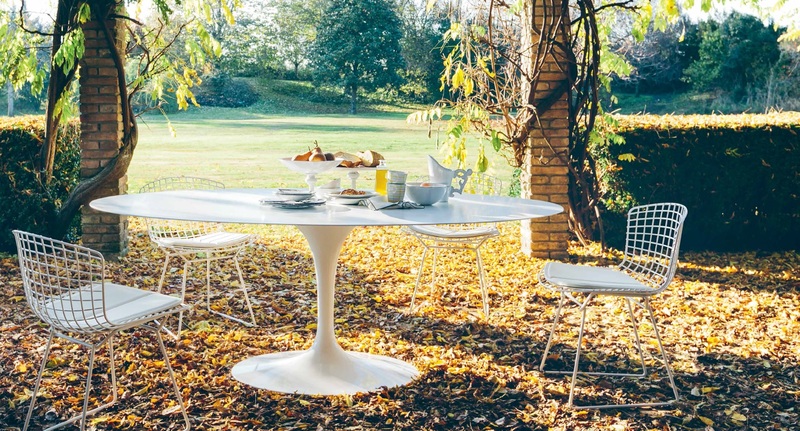 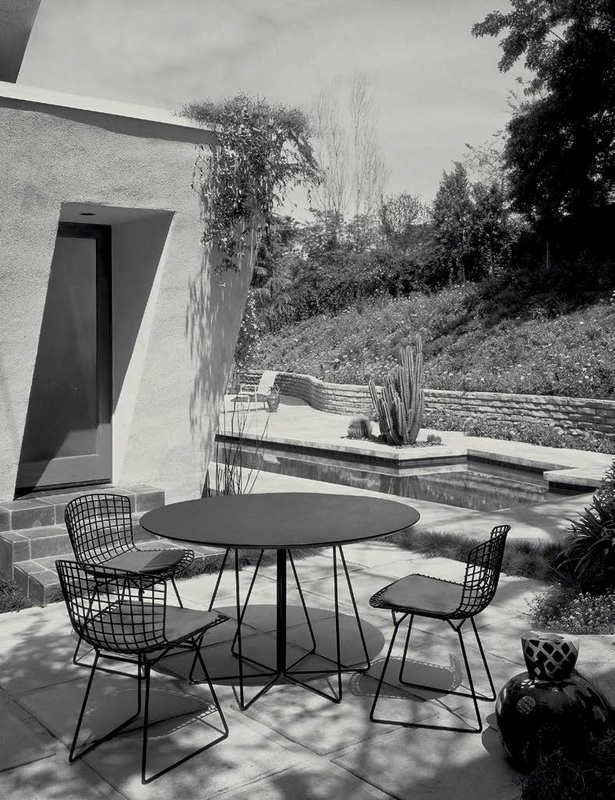 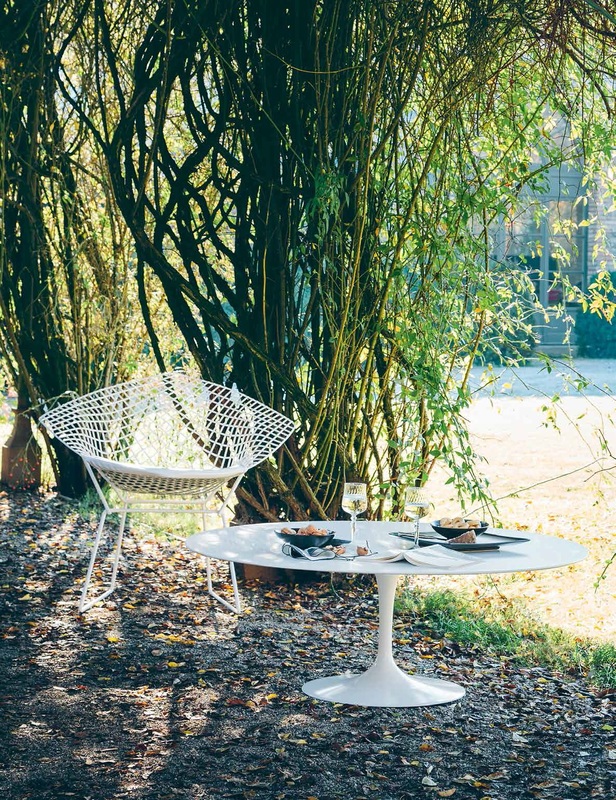 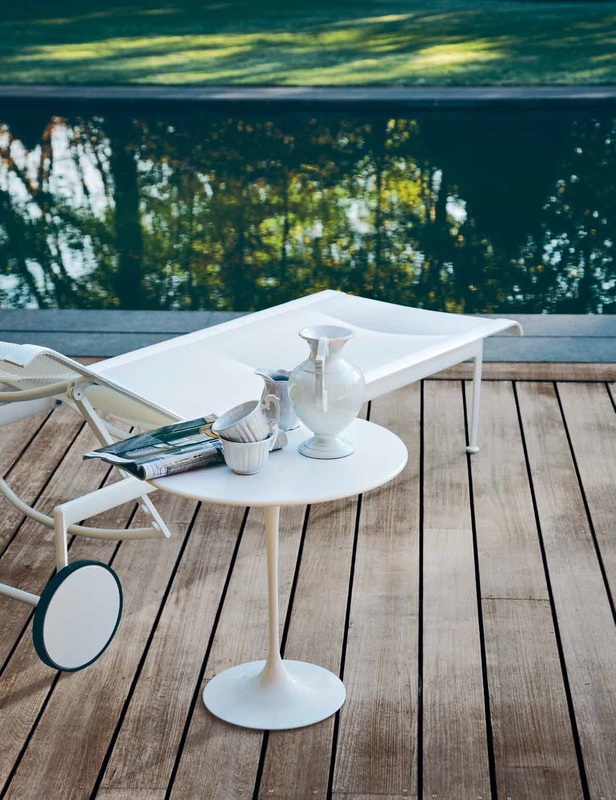 Knoll’s renowned Saarinen tables and Bertoia bench tables are now available for outdoor use. 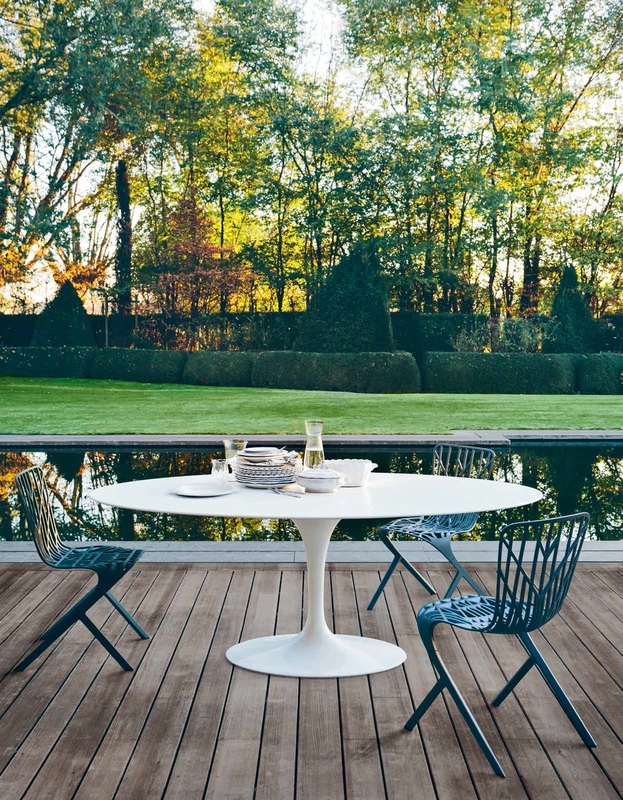 Inspired by traditional quilting, the Jehs+Laub Collection offers a tactile dialogue between functional form and sculptural shape. 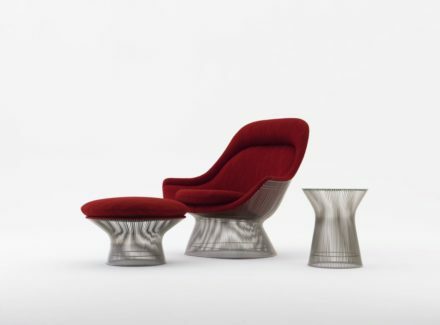 Two new additions to the classic Platner collection were introduced by Knoll at Milan’s Salone 2012. 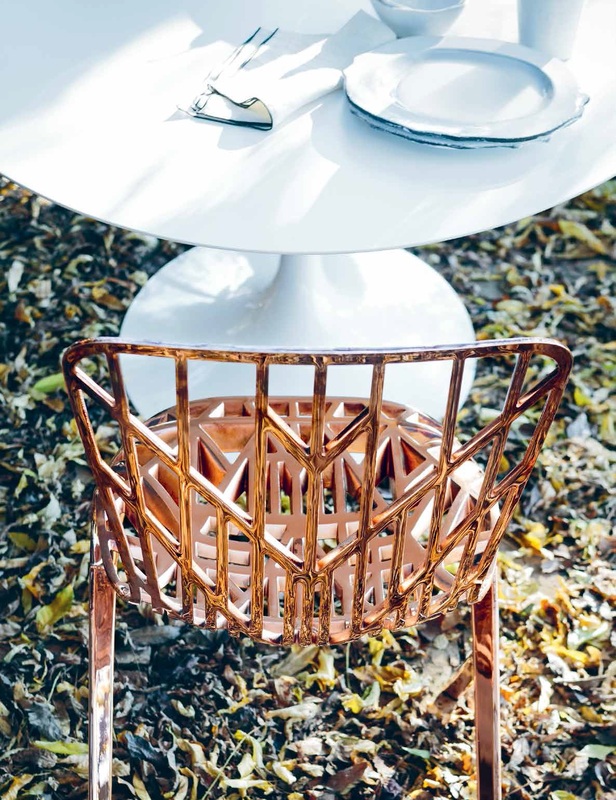 Originally designed in 1966 by Warren Platner, the “highly anticipated” Easy Chair and Ottoman are made of finely-finished steel rods (available in nickel or bronze) teamed with a variety of upholstery. 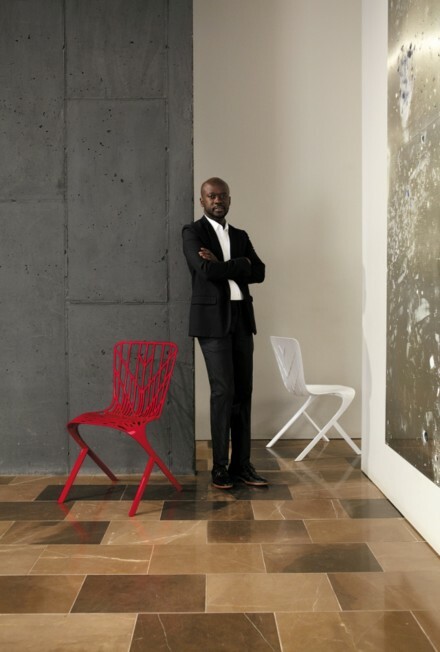 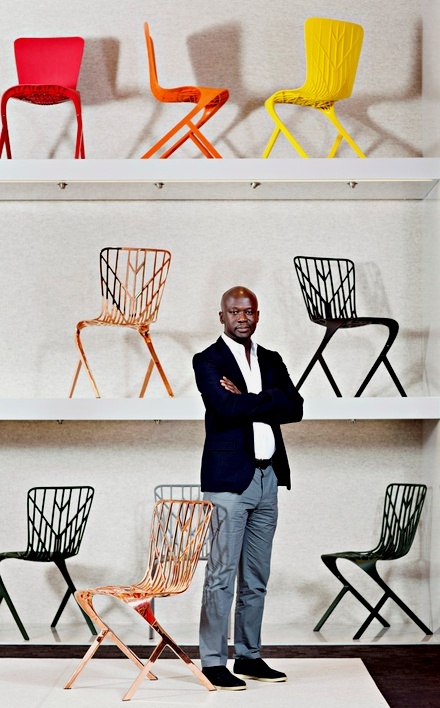 The Washington Collection for Knoll, David Adjaye’s first collection of furniture, transforms his architectural and sculptural vision into accessible objects for the home and office.